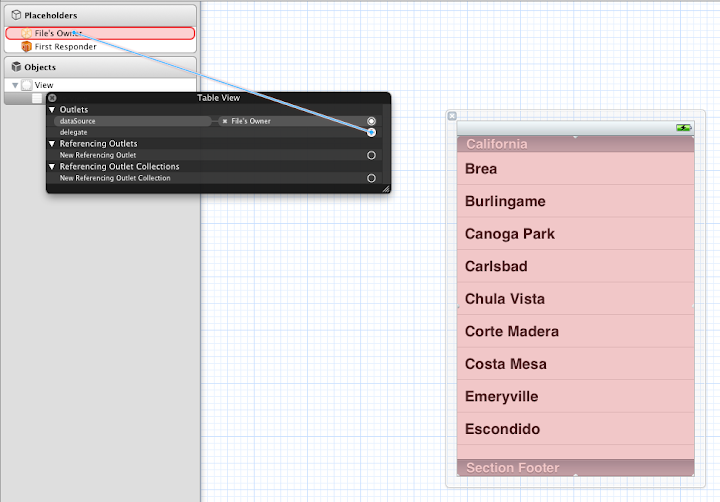 Here we are going to see about creating a simple table view with array of string as table contents. As I have already explained about creating a new project and redirecting the application to home screen in previous post, I am jumping directly to table view. In Blackberry and Android app development, we have separate fields like table view and list view / table field and list field. 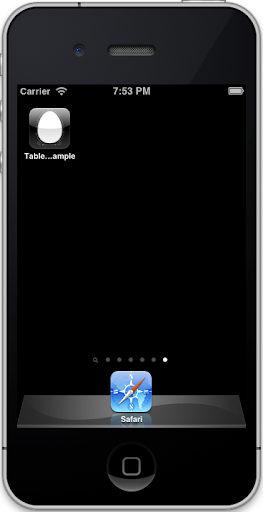 But in IPhone app development, we have only table view which acts as both. 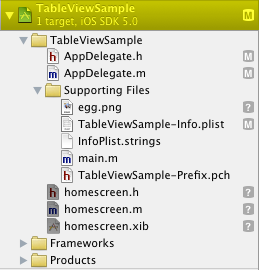 Now let’s see about UITableView. 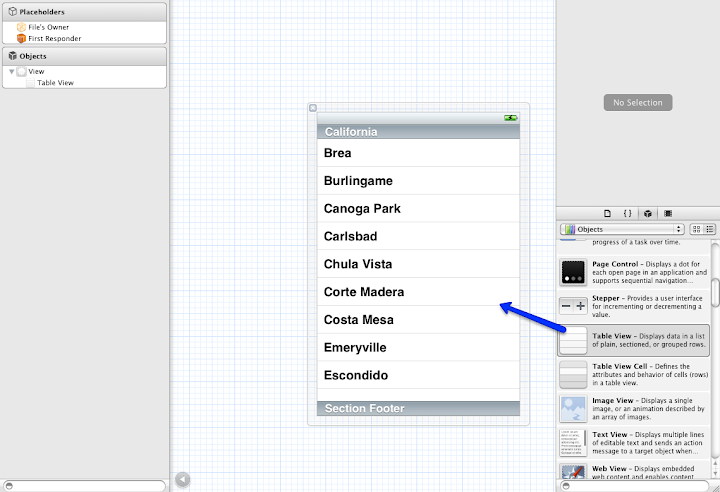 Create a project and navigate it to home screen. In home screen header file (homescree.h) file, declare NSMutableArray for table data as mentioned in below code. I usually use NSMutableArray instead of NSArray because NSArray is non editable which means once if you initialize it with data’s, you cannot insert or delete the data’s in NSArray where as it is possible in NSMutableArray. 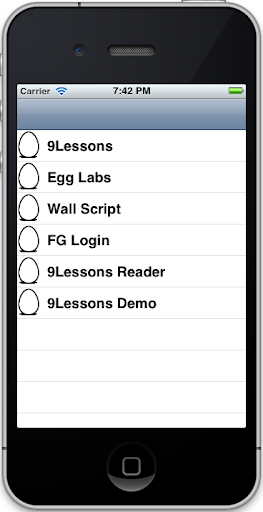 UITableViewDataSource and UITableViewDelegate are the protocols of Objective C which are used to display table view. Then, in main file (homescreen.m) synthesize the table view and array which we declared in header file as mentioned below. Synthesize will allows user to access the fields and variables declared in header file. Allocate the array value in the initWithNibName so that when the application starts, it will automatically hit the initWithNibName, and it will allocate the array. In the above code, I have declared the array count as row count of the table. // Identifier for retrieving reusable cells. // Attempt to request the reusable cell. // No cell available - create one. 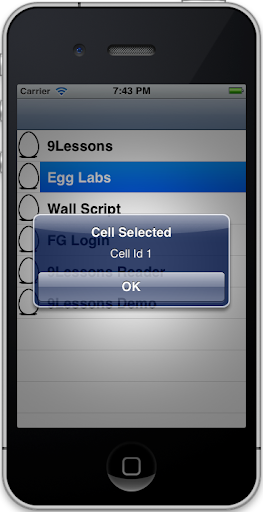 // Set the text of the cell to the row index. // Set image icon to every cell. This is optional. If you want, you can add it. In the above function, each and every line of code are explained with commented lines. Adding thumbnail image icon is optional. I don’t want to display the table view plain. To add spices, I have added the icon to it. // Show an alert with the index selected. Now your table view will look like this. 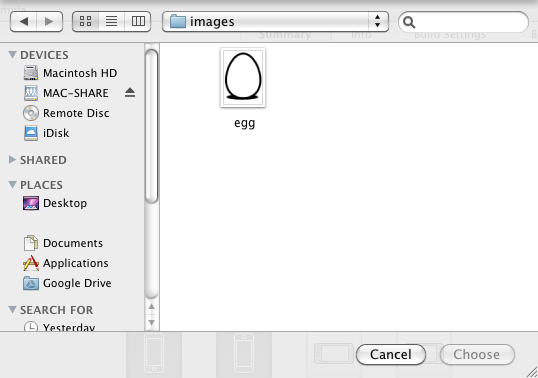 In addition to the table view tutorial, I will show you how to add application icon to your application. Now select your desired app icon. Note, your app icon should exactly in size of 57 x 57. Now run your application. You got your app icon. The iPhone has to be the most popular tech gadget that has been released in the past few years. As a telephone a messaging tool or a multimedia device the iPhone serves a purpose for everyone. iPhone wallpapers allows users to bring customization to another level. Outstanding read, I just passed this onto a colleague who was doing a little analysis on that. And he really bought me lunch because I found it for him smile So let me rephrase. This was really very helpful for me..
Is it true that an iPhone app has to be developed on mac computer? @Shreyo: Yes. If you are planing to develop native iPhone application means, you need mac. Very nice post for developers to learn here. 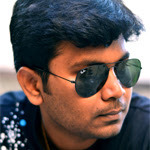 node js development company working on iPhone app tool PhoneGap for most of the App to create.